Drop The Hammer” is a culmination of Kenny’s true vision. 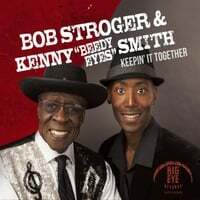 The lyrics, arrangements, sounds, and feel are a direct result of his life experiences as a musician and simply a person who grew up in the same house where Muddy Waters once lived in Chicago. Kenny is giving you his music on his terms, literally a piece of his being and soul. So, sit back, relax, and enjoy! 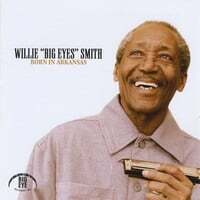 BIG EYE RECORDS Presents Willie "Big Eyes" Smith If you are looking for traditional Blues with lots of feeling then this CD is for you. What would 10-year-old Willie Smith have said back in 1946 if asked what he wanted to be when he grew up? The Legendary Bluesman would have had the same answer as most any other boy his age in Arkansas: a train conductor, better yet, a freight train conductor. In that Mississippi Delta River town of Helena, Arkansas where he was born, Willie knew only what surrounded him, and to Willie, that meant the farming life. He knew how to “pick cotton, pull cotton, and bail cotton” and he knew that for every hundred pounds he bagged he made $2 in cash. Willie knew he loved the blue river, the flatlands, and most of all, he knew he loved The Music. 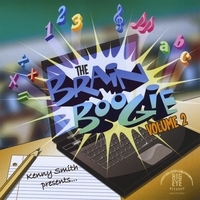 Big Eye Records Brain Boogie was created for children of all ages at all developmental levels and will undoubtedly stimulate a child's mind, body and soul.